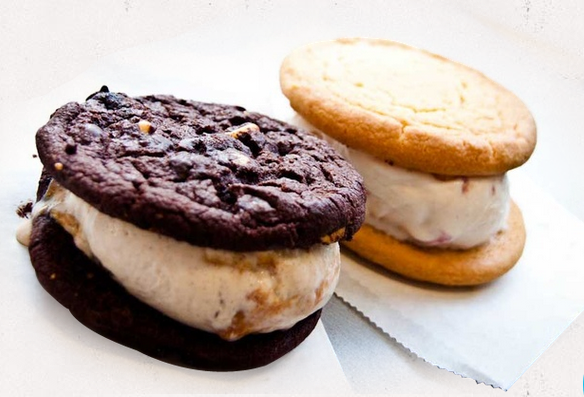 C.R.E.A.M.--which stands for Cookies Rule Everything Around Me--was started in Berkeley and specializes in Ice Cream Sandwiches featuring two cookies and a generous scoop of ice cream. 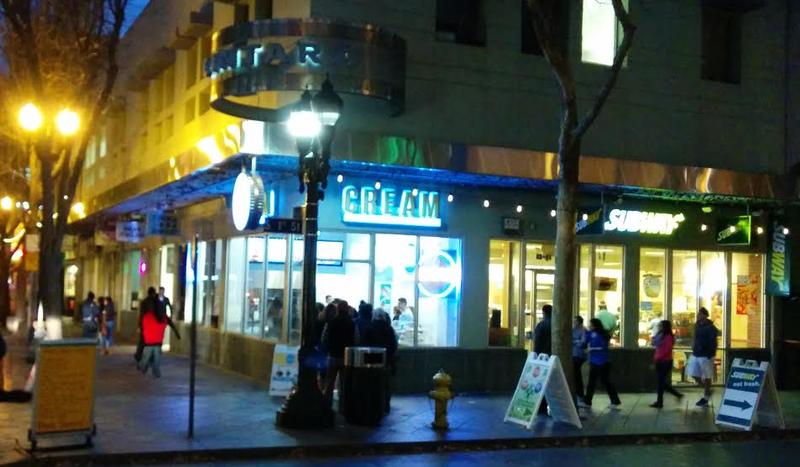 The chain has since expanded to nine different locations, including a Downtown San Jose location that opened earlier this year at the corner of Post and First Street. One notable attribute that separates C.R.E.A.M. from some of the other fast casual eateries Downtown is that there always seems to be a line out the door. It doesn't matter if it's lunch time, around dinner, or late at night... there are always people waiting to get their ice cream sandwich fix. Speaking of late nights, C.R.E.A.M. is open until 2am on Thursday, Friday, and Saturday! Even on Monday through Wednesday they are open until midnight. It's nice having a late-night dessert option in Downtown San Jose to compliment the two dozen other eateries ranging from Mexican to Vietnamese to Indian that are open until 2-3am (the awesome Nick the Greek on Santa Clara has joined this club as well). Okay, so for such a popular place how are the ice cream sandwiches? Personally, I liked them but did not love them. The cookie snickerdoodle cookies were great, but I prefer Treatbot's ice cream a lot more. The place was clean and the service was friendly; I'll almost definitely be visiting them again at some point. However, for me Treatbot is still the ice cream king Downtown. P.S. Hat tip to William Burch for suggesting I review this place months ago. I finally got around to trying it =).